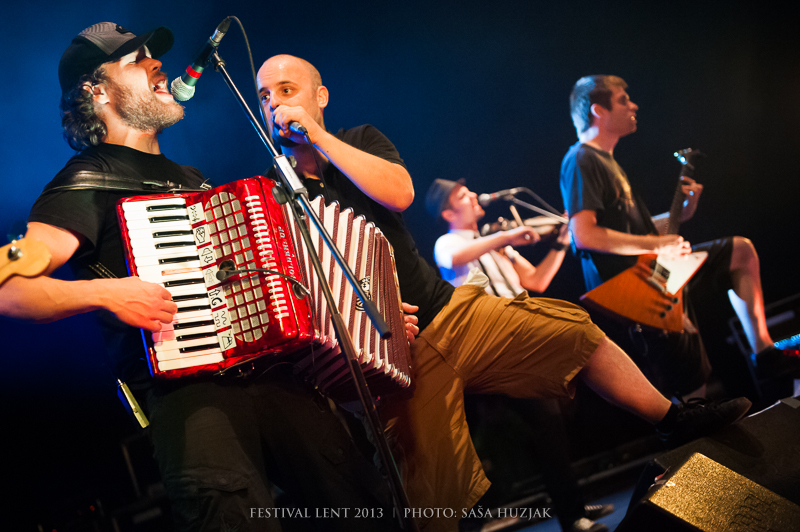 During the weekend the Lent Festival always shines in all its vigour and last Friday was no different. The party-hungry visitors could satisfy their cravings at numerous festival venues. The most noticeable one was the Večer stage where positive energy was billowing until midnight attracting groups of visitors to party under the spotlights. Later on, the cult band Happy Ol' McWeasel from Maribor was heating up the atmosphere. 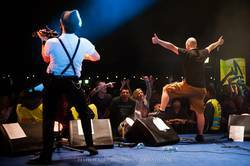 With their reinterpretations of traditional Irish-Celtic melodies and instruments together with a lot of punk rock they prepared an unforgettable party which made all generations get up and move. The girls in the front rows very screaming, while the boys on stage were wildly shouting, singing and making music that goes well with a glass of whiskey.